The cost of school supplies can add up quickly, and the list is exhaustive. Churches like Friendship Baptist Church of The Colony have aimed to help solve this problem by sharing the Good News of Jesus Christ through both word and deed. 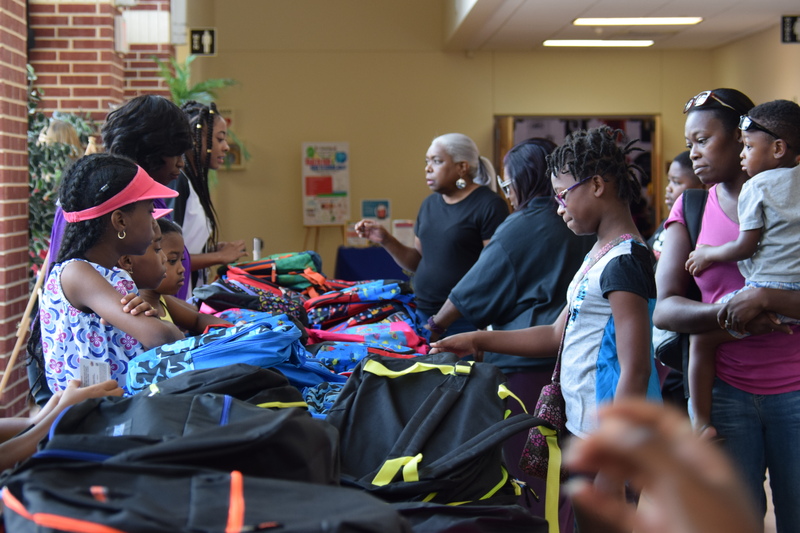 Every year, the youth department, the health and wellness ministry, members and volunteers at Friendship Baptist Church work fervently to put on their annual Health Fair – Free School Supplies and Back to School Youth Rally. As it says in the name, this event is so much more than a back-to-school drive. 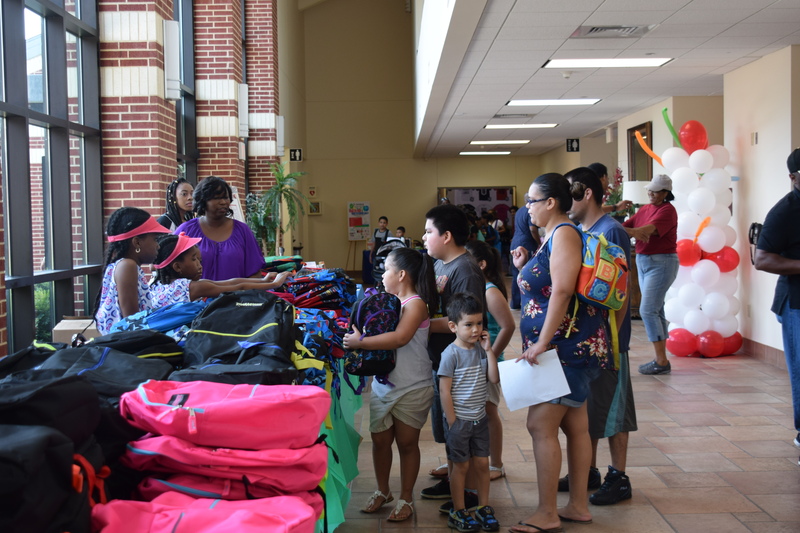 It’s a full day on their church campus that prepares their youth for the back to school season and serves the community as a whole, according to Rosa Bailey, project coordinator for the event. To buy the supplies for the drive, volunteers at Friendship look through their district’s back-to-school list, and purchase supplies accordingly. Then, the school supplies are distributed to children in the community for free, ensuring that they are prepared with the basic tools to begin their school year. For the health fair, “Medical professionals in the community donate their time and service to provide free mammograms, eye exams, sports exams, dental check-ups, high blood pressure checks and health information to those in attendance,” said Bailey. Along with the back-to-school drive and health fair, the church hosts a youth rally for the community that includes a petting zoo, bounce house, games, face painting, horse rides and much more. According to Bailey, it’s a full day of fellowship and fun. Each year, participation in our free school supplies program has grown because of the need in the community. To pull off an event of this caliber and meet the continually growing needs of the community, financial assistance is required. This year, with the help of the Hunger Offering and donations from various community businesses, the church was able to exceed serving the target number of 800 children. The event started at 9:00 a.m., and people began lining up at 7:30 a.m. This event would not be possible without the work of the faithful volunteers in the church. Bailey was most impressed by the youth that worked fervently for the event, putting together and distributing backpacks, and called them the backbone of volunteers this year. Through hard work, dedicated volunteers and donors, Friendship Baptist Church was able to live out what Jesus calls them to - help those in need. For more information about Texas Baptist Hunger Offering, visit https://hungeroffering.org.